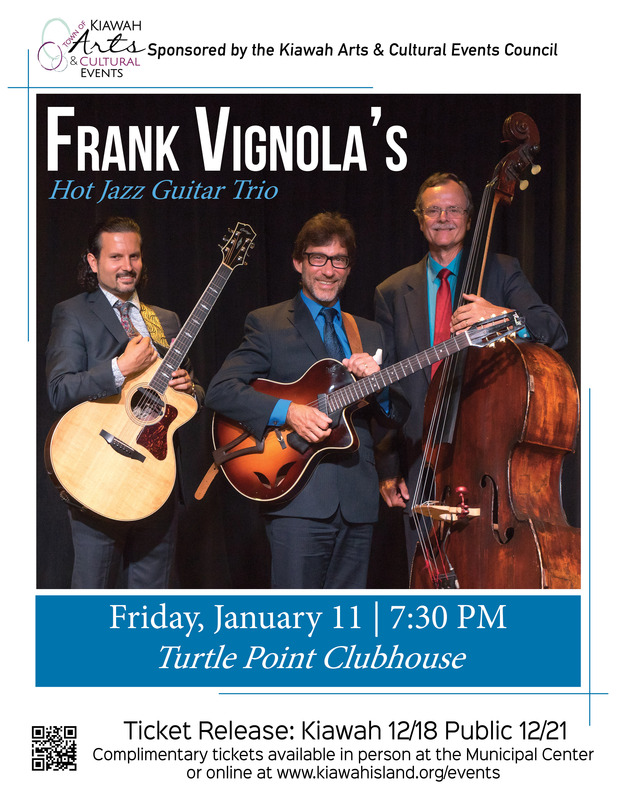 Tickets available here beginning 12/21 at 9 a.m.
-Frank Vignola’s stunning virtuosity has made him the guitarist of choice for many of the world’s top musicians, including Ringo Starr, Madonna, Donald Fagen, Wynton Marsalis, Tommy Emmanuel, Mark O’Connor, Boston Pops, New York Pops, and guitar legend Les Paul, who named Vignola to his “Five Most Admired Guitarists List” for the Wall Street Journal. Vignola has performed at some of the most prestigious concert halls and festivals in the world including the Sydney Opera House, Lincoln Center, Liverpool Philharmonic, Quebec Music Festival and Italy’s Teatro Olimpico. -Gary Mazzaroppi, One of the most respected jazz bassists on the east coast, Mazzaroppi has toured extensively with the Lionel Hampton Big Band for five years. Since then, he has accompanied many jazz artists including Red Norvo, Herb Ellis, Stan Getz, Joe Morello, Buddy Rich, Jim Hall, Barney Kessel, Clark Terry, Charlie Byrd, and Mark O’Connor.